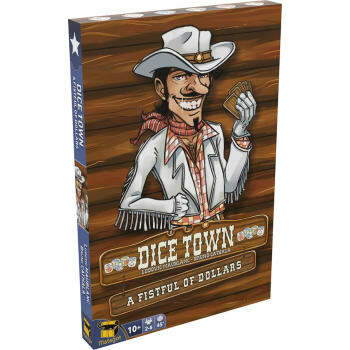 Dice Town is in full effervescence, the first derricks make their appearance around the city. Will you be ready for this new adventure? The titles of exploitation are rare and only the smartest or luckiest, will become the new baron of the black gold. This mini expansion offers a new mechanism centered around the titles of property. Only the player in possession of the greatest number of derricks will be able to claim the title of Baron of the black gold.